For more than 95 years, the hallmark of using Victaulic products has been the ability to complete projects more efficiently. From the deepest mine to the tallest skyscraper, Victaulic solutions answer the toughest engineering and application challenges. That legacy now comes to engineers, contractors and drafters in the form of an innovative new software package: Victaulic® Tools For Revit®. Victaulic has created a set of routing and fabrication tools for Autodesk® Revit MEP® to increase productivity and overcome shortcomings in out-of-the-box Revit and do BIM more efficiently with greater functionality. Victaulic Tools For Revit allows users to design smart models in half the time, modify designs with a single click and create fabrication drawings with the necessary details and bills of material, all without leaving Revit. Equipped with more than 100 Victaulic product families, the tool enables users to route with Victaulic content or with other manufacturer content. Creating fully integrated assemblies becomes a seamless process. Loose parts are never omitted and fabrication spools can include labor estimates and manufacturer information. Victaulic Tools For Revit gives users complete control over every detail when creating their 3D model. Users can easily rotate components at specified angles, resize pipe or change fitting and accessory sizes in a few clicks. 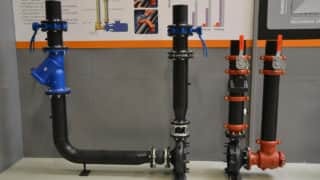 The Pipe Splitting feature automatically splits pipe into user-specified lengths, and the Delete Pipe function removes selected piping to create fitting-to-fitting connections without breaking the model. All changes automatically incorporate into the drawing rather than having to be re-applied individually. For the average project these features alone can save hours. To make production and installation more efficient, tagging features in Victaulic Tools For Revit allow engineers to create and apply preset tags in the order they will be installed. Custom tagging options predefine four annotation families for each project to automatically pull and apply for the components you use most. Basic Revit functions only see the top level of a system drawing—missing the bolts, gaskets and other details—requiring users to notice and add anything missing. Victaulic Tools for Revit picks up these details and creates individual views for each piece of the system in their own assemblies. Unlike other add-ins, the Victaulic tool allows users to create spool drawings in plan view or in orthographic 3D view. Within the fabrication suite, the Procurement Tool allows users to create fabrication spools and bills of material from within Revit with just a few clicks. This option is not available in the native Revit application and creates a seamless process without needing to export the project into other software. With hundreds of spools in a project, alleviating the need to work within multiple software platforms can truly optimize routing efficiency. Victaulic Tools For Revit comes pre-loaded with more than 100 product families in the components ribbon that live in the cloud, not on individual workstations. Selecting the required fitting or accessory automatically loads the new product family if it does not already exist in the project, leaving existing families intact. The Family and Directory Lookup functions allow users to export and import lookup tables, making content search and development a seamless process. Victaulic Tools for Revit increases productivity through automation and efficiency. Pipe editing tools, assembly creation and tagging functionalities allow users to create and edit models with efficiencies that were never before possible. 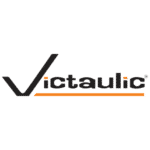 Simply put, Victaulic Tools for Revit is your source for increased productivity. When looked at in terms of productivity gains, the benefits of Victaulic Tools For Revit speak for themselves. Completing the same actions in native Revit without the Victaulic add-in requires more steps—in some cases a complete workaround—and is much less efficient. As the technology behind designing and implementing mechanical pipe-joining solutions has changed, Victaulic has remained at the cutting edge with solutions that lead the industry. Victaulic Tools For Revit puts customers at the forefront of smart modeling and fabrication solutions. To learn more or to purchase the add-in or download a 30-day free trial, visit www.victaulicsoftware.com.